Sometimes an orc is just an orc and sometimes it isn’t. Sometimes an ettin is just an ettin and sometimes it isn’t. Most creatures the PCs encounter are just standard, boring version of that particular race. Sometimes, though, the GM wants to add more flavour to the PCs’ enemies. Behold–a myriad of tables designed to do just that! 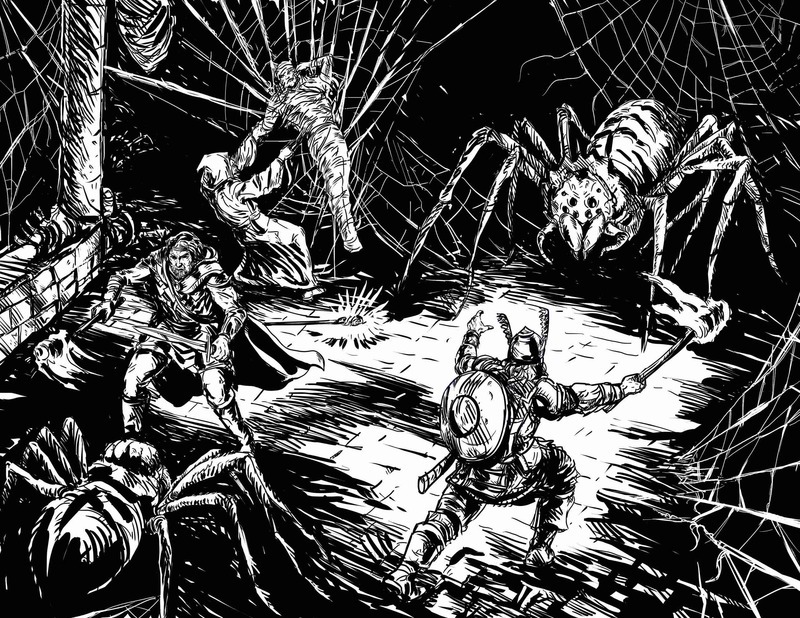 Within GM’s Miscellany: Loot the Body find over a score of tables packed full of trinkets, minor pieces of jewellery and other adornments along with the random things found in a villain’s pouch. Use them to enliven the looting in your campaign today! Every hero needs an antihero, every defender of the light must have darkness to keep at bay and every pure-hearted paladin needs a vile, shadow-cloaked assassin to cut down. Scions of Evil presents scores of foes to bedevil your PCs and five sinister bands of black-hearted individuals.